What is Leg Vein Therapy? 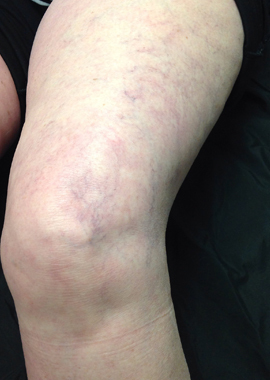 Leg vein therapy is used to treat Spider Veins in the legs. 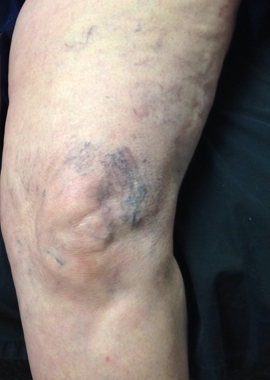 A sclerosing agent is injected into the leg vein. After therapy, the patient wears compression hosiery for at least a week. A laser can also be used for less severe or follow-up treatments. Light energy is delivered through a special laser hand piece to the targeted vein in a series of brief pulses. The light energy is absorbed by the vein but not the surrounding tissue. The blood vessel coagulates and is absorbed by the body, eliminating the visible vein. 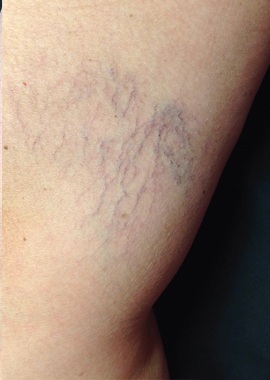 “I had a cluster of spider veins on the back of my legs for years. Everyone thought it was a bruise. After I had 2 treatments with Stacey, it is gone! I am so excited! Thanks, Lébo and Stacey!” -Sherry S.
Here you can learn about what it’s like to get rid of Leg Veins, see a live Q&A session and watch a recap of a patient journey with Leg Vein Therapy. In your own words, what is it like to have Leg Vein Therapy? The treatment itself was very painless. Stacey was great with explaining each step and what she was doing.I was very relaxed and comfortable.The treatment took about 30 minutes. I wore my compression hose for 2 weeks after the treatment. During that time I did see improvement and my legs didn’t feel fatigued. 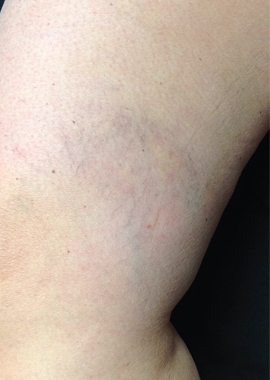 What is your final outcome after having Leg Vein Therapy? I would definitely do it again and I have recommended it to other people. I intend to follow up on a yearly basis and if it’s necessary before that I will follow up at that time.I am very satisfied!!! "I genetically get bad leg veins from my mom and my grandma. I have always hated to wear shorts. Now that I had my leg veins treated by Nicole, I love my legs! Nicole was always so friendly and very professional. Thanks, Nicole, for making me feel better about myself! "- Gina K.